LAS VEGAS, NV--(Marketwired - Jan 6, 2015) - 2015 International CES -- TP-LINK®, a global provider of consumer and SMB networking products, today announced the U.S. debut of the PB50, TL-PB5200 and TL-PB2600 Power Bank portable charging units at the 2015 International CES. The new sleek, compact Power Banks are compatible with most 5V input USB-charged devices, including Apple iPhones and iPads, as well as Android devices. Simply connect the included Micro USB cable to a compatible device for uninterrupted mobility. "We increasingly rely on mobile devices to stay connected to each other and to the Internet," said Lewis Wu, executive vice president of TP-LINK U.S. "Our Power Banks help customers stay connected by extending the life of their mobile devices far beyond the capability of their batteries." 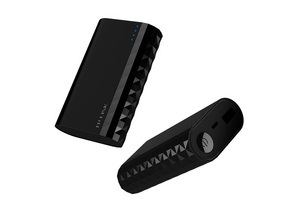 The Power Banks can both charge a device low on battery life and power a device with a completely drained battery, extending the daily use of mobile electronics. The PB50 operates at 10,000mAh and has one 5V/2A USB port and one 5V/1A USB port. 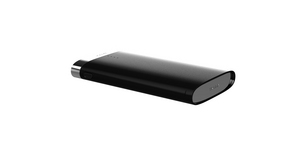 The TL-PB5200 operates at 5,200mAh and has one 5V/2A USB port. The TL-PB2600 operates at 2,600mAh and has one 5V/1A USB port. The design of the Power Banks emphasizes portability and efficiency. A slim housing makes packing and transporting the devices easy, and the durable casing resists wear and tear when traveling. High-end PCB components help the Power Banks charge efficiently, with an energy efficiency rate of up to 90%1, and also provide more charging cycles and increased overall durability. Built-in monitoring circuitry enhances the reliability of the Power Banks by helping to prevent over-heating, over-charging and short-circuiting. 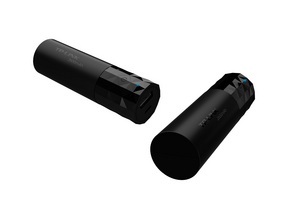 The Power Banks' USB ports automatically detect and adjust output levels based on the charging needs of connected devices, with 5V/1A ports able to charge smaller devices like smartphones, and 5V/2A ports able to charge both smaller devices and larger ones like tablets. Owners can recharge the Power Banks via their micro-USB port by connecting them to a power outlet using any standard smartphone or tablet AC adapter. The PB50 and TL-PB5200 both support Intelligent Charging technology, automatically detecting the rated voltage and current of devices for the fastest possible charging. Smart LEDs indicating charging status. Micro-USB port for charging the Power Bank. Universal compatibility with most 5V-input mobile devices, like smartphones and tablets. 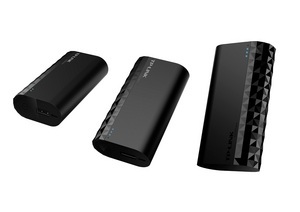 TP-LINK's new lineup of Power Banks will be shown from January 6-9, 2015 at the Las Vegas Convention Center - Booth No. 36206 South Hall 4, Upper Level. The PB50, TL-PB5200 and TL-PB2600 Power Banks are planned for availability in Q2, 2015 at www.store.tp-link.com and leading online and retail stores. TP-LINK is a global provider of consumer and SMB networking products and the world's No.1 provider of WLAN and broadband CPE devices2, with products available in over 120 countries to tens of millions of customers. Committed to intensive R&D, efficient production and strict quality management, TP-LINK continues to provide award-winning networking products in Wireless, ADSL, Routers, Switches, IP Cameras, Powerline Adapters, Print Servers, Media Converters and Network Adapters for global end-users. For further information visit www.tp-link.com, follow TP-LINK on Facebook at www.facebook.com/tplink, Twitter at www.twitter.com/tplink, YouTube at www.youtube.com/tplinktech and the TP-LINK Forum at http://forum.tp-link.com. 1. Energy efficiency is affected by the core voltage of a battery charger and energy lost to heat. Actual results will vary. All information and pricing provided are subject to change without notice. TP-LINK is a registered trademark of TP-LINK Technologies CO., Ltd. All trade names are the property of their respective owners.